McGough, a Twin Cities headquartered builder and developer, announced today the start of construction on its new headquarters facility. Finding the Ideal Location in Roseville. Martha Ponce and her children had a plan. Calyxt Chose Roseville For Strategic Growth. Choosing a location is one of the most important decisions a startup can make. CHECK OUT THE NEW ROSEDALE CENTER! Now open: Revolution Hall, a 2-story culinary marketplace...and Rose & Loon, a showcase for Minnesota and regional craft makers. 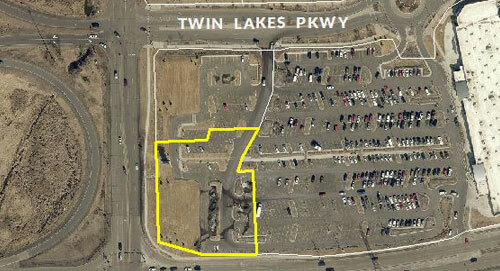 Located in the center of the Twin Cities metro area, Roseville, MN packs a lot into its 14 square miles. 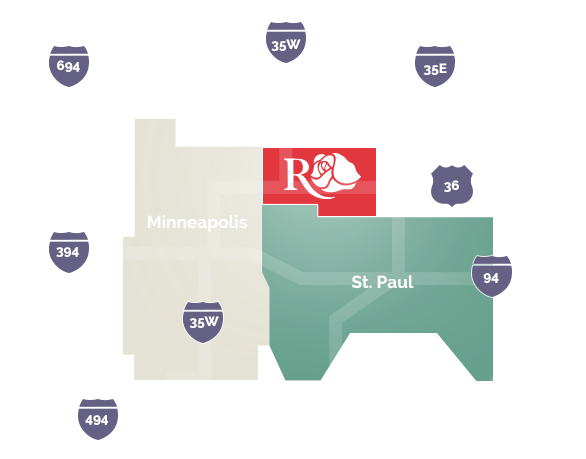 Roseville can get you to client meetings, vendor sites, MSP Airport and shipping outlets in no time at all. Roseville is a beautiful city of 35,875 residents, located in the center of the Twin Cities metro area. It packs a lot into its 14 square miles. There is world-class shopping, top-flight schools, dazzling parks and recreation, thriving businesses, and friendly people. In 1940, Ramsey County surveyors placed a boulder on a spot in Roseville and it was determined to be exactly half the distance between the equator and the North Pole. That’s Roseville. In the center of it all. Area representatives will provide a recap of the 2019 legislative session. In addition, Roseville will provide an update on its 2019 adopted legislative priorities.